Animal protein colloid glues of various forms have been in use by humans for about 6000 years [Fehy]. It was the primary glue for furniture manufacturing since the times of the ancient Egyptians. 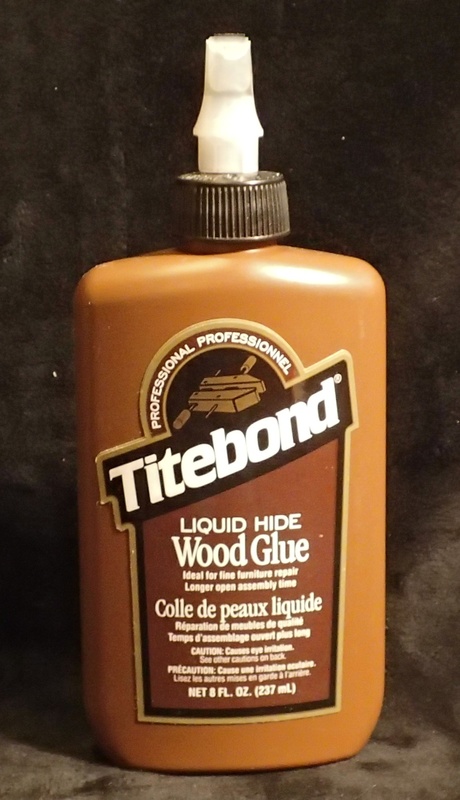 Hide glue is still used in woodworking especially for veneering and marquetry. Hide glue is typically made from scraps from the leather industry. Rabbit skin glue is the traditional size for fabric support on panels and is used for making bellows (for player pianos for example), and book binding. Fish glue is also available, isinglass is a fish glue made from the swim bladders of fish, the highest grade considered to be those made from the swim bladders of sturgeon [Petukhova]. Fish glue does not gel at room temperature. The reversibility of hide glue, its ability for glued joints to be separated by heat and water, has given the violins from the days of Amati, Stradivarius and Guarneri their longevity. Violins are held together solely by glue (though baroque violins also had 2-3 nails attaching the neck), and this reversibility meant that the instruments could be disassembled to perform repair. Hide glue in violin making has a 400 year track record, and goes back further in lutes and other instruments. Furthermore, the hardness/brittleness of hide glue compared to PVA glue is thought to attribute to better acoustic properties. Typical wood workers today are probably more familiar with Polyvinyl Acetate (PVA) Resin Emulsion glue (white or craft glue, Titebond I) or its cousin Polyvinyl Acetate aliphatic resin emulsion – which is a slightly modified version (yellow or carpenters glue, Titebond II). Fritz Klatte discovered PVA glue in Germany in 1912. Use of PVA glue is roundly considered blasphemous in the violin making world, though less so in the guitar making. PVA glue does not adhere to dried PVA glue, making repairing of glued joints impossible. Reversibility and reparability of the glue joint is a necessity in a handmade instrument that is intended to last for generations. PVA glue is also considered to creep under constant stress, disastrous in instruments which spend most of their time under the load applied from their strings. The gelling properties of hot hide glue (as opposed to liquid hide glue concoctions made with added urea) improve workability and are especially prized in marquetry. Hide glue comes in a variety of strengths, graded in the thickness of the gel at room temperature, measured in grams. The gram strength refers to the strength of the glue gel at 50F/10C. This is called the Bloom strength after the inventor of the measurement, Oscar T. Bloom who patented it in 1925. On the right is the patent for his Gelometer [ref]. The strength is published either in grams or grams Bloom (gB), but is not a measure of the strength of the final glue joint. Right to left: 150g, 251g, 315g, and 445g dry hide glue. For violin making 251-315g Bloom strength is typically used for making, while higher strengths are used for crack repair. Hot hide glue should be prepared by adding dry glue granules (ground, pearls or flakes) to a quantity of cold water. The glue will absorb the water after a few hours to produce a gel which is then melted at low temperature (140F/60C) until it is a thin syrup. The amount of water varies by the strength of glue being prepared. Generally 2:1 parts by weight water to glue for 192g glue, 2 ½ : 1 for 251g and 2 ¾:1 for 315g glue, with slightly less water for use on porous soft wood (1/4 part less water) [Thordahl]. The glue is kept at 140F/60C until applied. It is normal to adjust the thickness of the glue by adding water for various applications and to adjust for evaporation while in the glue pot. Adding water will also adjust the open time, which is the time for the glue to gel and loose its ability to stick. This may affect the strength, but given hide glue’s considerable strength (much greater than the strength of the wood) there is room for adjustment to particular jobs. During gluing the glue will cool and gel. At this point the glued joint needs to be undisturbed. Clamping is recommended for most applications, though unclamped joints of very well mating surfaces will provide excellent results when used in a rub joint. The glued joint will reach full strength after about 12 hours. Dried hide glue reaches a glass like hardness once fully cured, a property thought to improve its acoustic properties and considered another advantage over PVA glues. Dry hide glue can be stored indefinitely in a cool dry place. 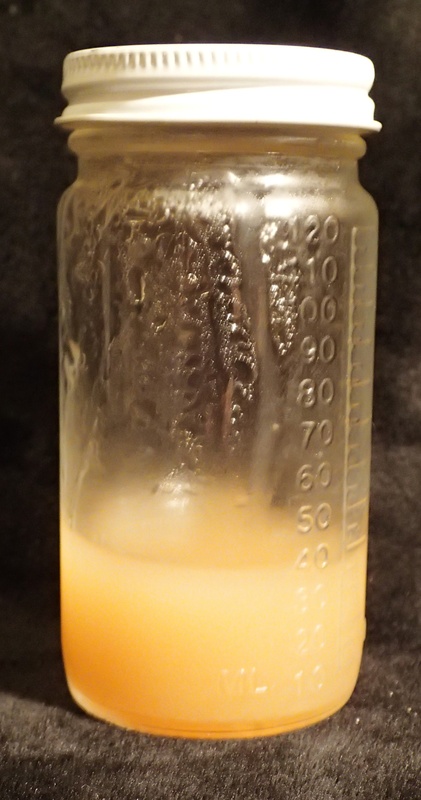 Hydrated glue can be stored in a refrigerator in a covered container for weeks, but will spoil given enough time, or readily at room temperature. Some users freeze prepared glue for usage later, though the effect on glue strength has not been studied. Fresh hide glue is recommended to for maximum strength. However glue can be reheated a number of times. Hide glue loses strength as it’s kept at glue pot temperatures. As a general rule avoid overheating the glue and use a glue pot or double ‘boiler’ to heat glue. As a general rule discard glue that has been kept at melt temperatures for more than 100 hours, and use fresh glue for strength critical applications. Liquid hide glues have become available through the use of urea additives which inhibit gelling. However these additives are considered to decrease the strength of the glue. In the violin making world there is no debate on the use of hide glue vs modern alternatives. Hide glue’s historic use means we know the positive results of hide glue centuries later. Modern glues are not only seriously detrimental to the future care of an instrument, they are also untested by time. It’s hard to argue with this logic: if a $16M Stradivarius made with hide is still considered the pinnacle of violin making for beauty and tone, why use anything else. Dry Hide Glue comes in different granule sizes (pearl, ground, flake, cube are common). This does not affect the properties of the rehydrated glue but may affect the amount of time required to rehydrate. ‘Sizing’ is the preparation of a surface with a thin wash of hide glue. While done for various reasons, in glue joints this can improve the tack during final glue up. Don’t try this with PVA glue, PVA glue cannot adhere to dried PVA glue. ‘Mastic’ is a mix of hide glue and filler material, usually wood dust. Traditionally, glue brushes are made without metal, in order to prevent the glue from becoming stained or discolored. ‘Old Brown Glue’ brand glue is liquid hide glue (hot hide glue with ~15% urea). An example of a rub joint can be seen here. It’s helpful to flood the joined surface with hide glue. Plans for a simple adjustable temperature glue pot can be found here. 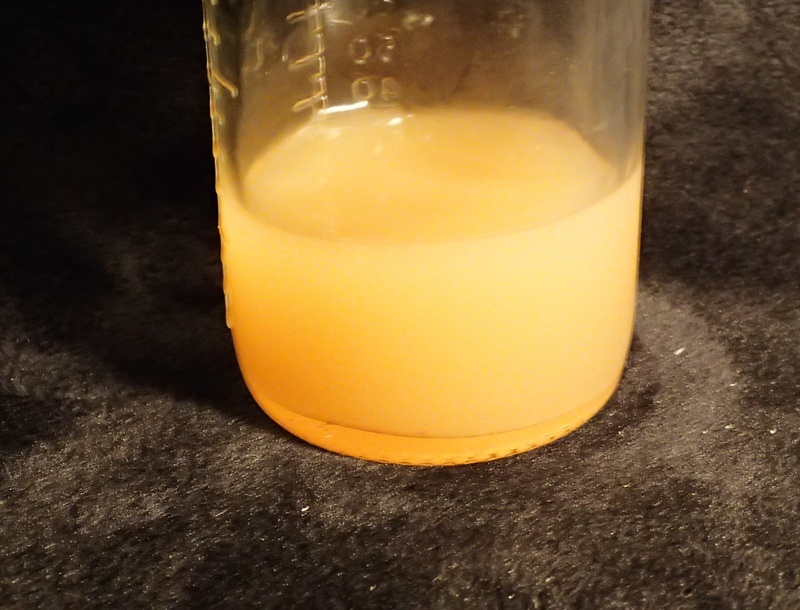 “Hide Glue – ‘40 Centuries Old And Still Holding’” by Eugene B. Thordahl of Bjorn Industries. “Hide Glue – Historical & Practical Applications” by Stephen A. Shepherd – An interesting book but not a how-to manual. Heating the mating surfaces can help prolong the open time during gluing since its the cooling of the glue that makes it gelatinous. 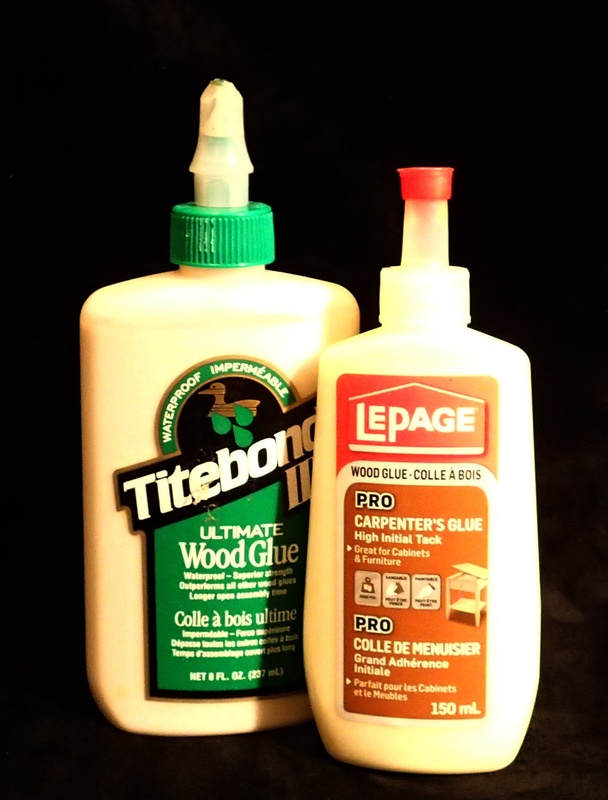 When hydrating glue, add the dry glue to water while stirring to disperse the glue and aid in hydration. The addition of vinegar is said to aid ‘wetting’ properties. Adding alum or skim milk is reported to make hide glue waterproof (but not for violins!!! Water is sometimes used to disassemble violins for repair). The addition of glycerin is not recommended, it softens the glue and the joint under stress can then creep. The addition of salt to prolong the duration of gelling is also discouraged as it is hygroscopic and interferes with complete drying. Warm hide glue makes a very effective hand cleaner!